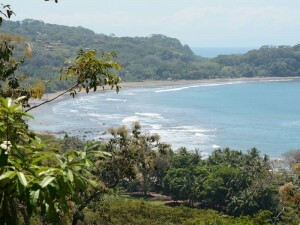 Strategically positioned between along coast highway and within walking distance to the beach just south of Dominical and north of Dominicalito with some of the most impressive views that Costa Rica has to offer. The topography offers multiple large terraces overlooking a rocky reef with inlets to the beach, and views looking into the heart of Dominicalito Bay to the south which is home to the local fishing fleet, and a few sport fishers, and an occasional yacht in transit. With the combination of the views, and the superb location along the up and coming “Costa Ballena” this is the best commercial or residential sites available along or coast line! The property is part concession and part titled land and it has it own water source that is feed from a well. Do not hesitate to contact us for more detailed information!